Building a home of your own instead of purchasing an existing one is an attractive notion, especially when you can’t find one you love. If your design is good, you shouldn’t have to worry about renovations or major repairs for years to come. However, more goes into the construction of a new home than you might assume. You have to make a lot of decisions, from determining the budget to choosing colors of paint. 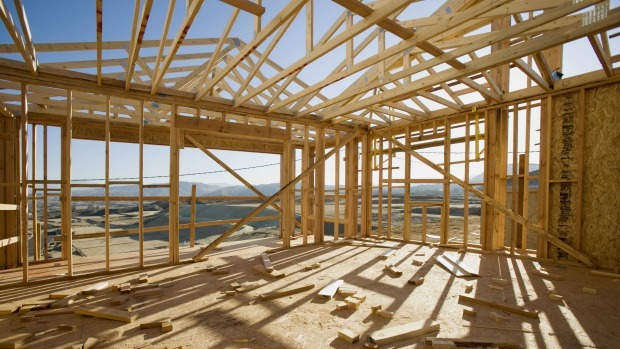 You shouldn’t jump into the process unprepared, so here are seven things you should know before building your first home. Building a home from scratch is an expensive proposition. Depending on your current housing market, you probably can’t build a three-bedroom, two-bathroom home for less than the cost of an existing structure of the same type. If you can handle that, define your budget and stick to it. Don’t be tempted to stretch your dollars too far. You’ll want any excess to pay for other needs such as furniture, taxes, home decor, and unexpected expenses. Once you’ve chosen a contractor, present your budget to him or her, and that person should stay within those parameters. Go with a contractor who has plenty of experience and has gotten great reviews. You’re paying a lot of money for a huge service, so you want someone who’ll get it right or quickly rectify any mistakes. If this is your first home, it might be easiest to keep everything in one place. A contractor who has sample homes you can walk through is the smartest choice for first-time builders. If you want something custom made, choose a contractor with an in-house interior designer. Your general contractor should also use trusted subcontractors to handle the cabinetry and other work. Don’t start building until you have seen a visual rendering of the finished product. If your contractor doesn’t offer one, you might have to hire an interior designer on an hourly basis who will listen to your design ideas and create a mockup based on them. You’ll be very glad you took this step, no matter what it costs, because it will give you a clear sense of the goal — one that you you know you want — before you’ve invested precious time and money in it. Although the layout, size, and other major features are most essential, the details are worth your attention as well. You’ll be asked to approve colors, cabinet styles, siding, roofing materials, flooring, and so much more, so expect it and be ready for it. It’s probably tempting to sign off on the first options that are placed before you, but you should be sure they’re what you really want. Try to research various color schemes and design styles in depth to come up with what would please you the most. You may update colors and flooring later on, of course, but it’s less trouble and cost to get your dream home right the first time. Too many first-time home builders design their dream homes but are shocked to lose money when they sell it later. If you build a home to stand the test of time, it should appreciate rather than lose value. The best way to consider resale value is to bypass the trendy styles and incorporate timeless ones instead. White kitchens, black-and-white bathrooms, spacious bedrooms, master en-suites, formal dining areas, fireplaces, and other classic designs aren’t likely to go out of style anytime soon. Study and select your design preferences, and think hard about appealing styles that may nevertheless go out of dated in ten years. You should still be able to design the home you’ve always dreamed about while heeding the resale factor. The cost might be no problem, but can you afford to live in it? Most homes today are equipped with highly efficient HVAC systems, but you should make sure to install tankless water heaters, energy-saving appliances, and low-energy lights. Beware of additions that may require unnecessary extra resources to maintain. For example, a backyard pool can be a lot of fun, but the cost of filling and heating the pool might be more than you want to have to absorb over time. Last but not least, consider the home’s exterior. This goes beyond paint colors. You will also weigh the structure’s profile, exterior materials, placement of windows, and garage location, for example. Landscaping is another essential matter. Would you prefer a large, grassy backyard, or low-maintenance rock garden? Other possibilities include a patio or deck, pathways around the yard, or stamped concrete versus brick walkways. As you can see, a lot that goes into planning the home you’re going to build. Dedicate sufficient time and energy to selecting the details that will make your home satisfying and comfortable for the duration of your life there, whether five years or thirty.